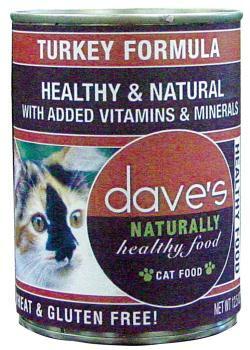 Dave's Naturally Healthy™ Canned Cat Food is the best value for a good quality canned cat food you can buy. If you read the ingredient panel, you will notice it is loaded with real turkey or chicken. Turkey and chicken are a terrific source of protein. You will also notice there is no cereal, filler, by-products, wheat, soy or gluten. 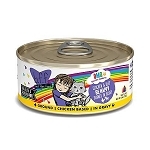 Plus we added vitamins and minerals to make sure your cat gets the proper nutrition she needs to thrive. Available in Chicken or Turkey Formula. My 3 kittens love this food. They eat this 3 times a day. They prefer this to any other food. 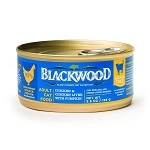 Two of my kitties are picky, two love everything...they all love this food!! My two cats enjoy this food. It is a healthy holistic formula. The price is actually cheaper than Fancy Feast when you consider that Fancy Feast now averages around $.20/ounce. Home delivery is nice too!